While everybody has experienced the sensation of tiredness and fatigue in their lives, some people end up experiencing a fatigue that lasts for weeks, months, or even years on end without improving. This condition is called chronic fatigue syndrome (CFS), and it is a diagnosable disorder that can have a serious, sometimes debilitating impact on people's lives. 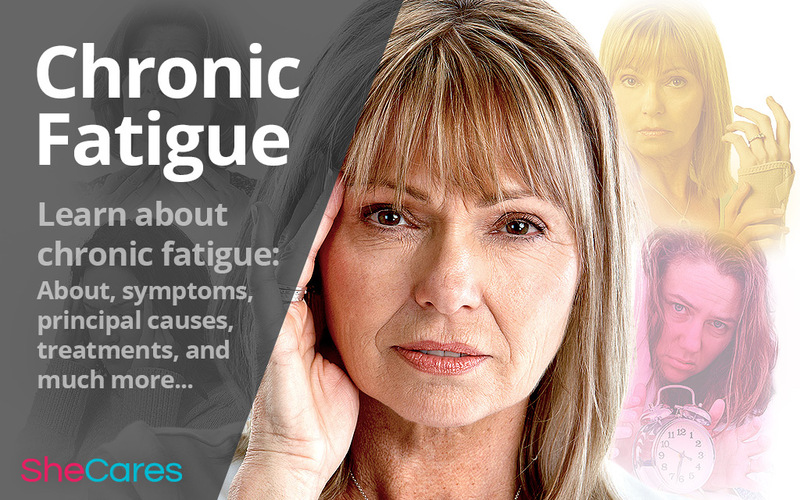 Learn more about the symptoms, causes, and treatments for chronic fatigue syndrome. Chronic fatigue syndrome (CFS), also called myalgic encephalomyelitis (ME), is a medical condition that can strike at any time in a person's life. It is characterized by extreme, unexplained fatigue - in other words, it causes exhaustion for no reason, and this exhaustion is generally more intense than normal tiredness. Resting or sleeping generally has no effect on this fatigue, although the fatigue can be increased by exercise or activity. CFS can last for years, although many people with CFS may have good days, or periods of lessened fatigue, before relapsing back into their bad days. For most people, chronic fatigue syndrome is severe enough to interrupt daily chores and activities, and many people find it incredibly difficult to leave their beds at all during their bad days. Unfortunately, there are no tests for chronic fatigue syndrome, so it can be difficult to diagnose. Tests can be done to rule out other conditions in order to determine if the condition is truly CFS. However, it is important to remember that although chronic fatigue syndrome symptoms are mostly invisible, the condition is real and that anybody suffering from this disorder has a real medical problem and is not simply being lazy. Immune system problems. Low defense in women may cause different syndromes, but it's unclear if this is enough to actually cause the disorder. Hormonal imbalance. Some women experience abnormal hormone levels and also have chronic fatigue syndrome, but the relation between them is still unknown. Viral infections. Because some people develop chronic fatigue syndrome after having a viral infection, researchers question whether some viruses might trigger the disorder. The prevailing theory is that CFS can be caused by a number of factors interacting, and that the development of CFS it is dependent on the body's response to these factors. NADH, or nicotinamide adenine dinucleotide (NAD) + hydrogen (H), which is a naturally-occurring compound involved in the body's production of energy. Qigong, a Chinese practice of controlling breathing, body posture, and meditation to increase wellness in the body. Additionally, attending therapy, both physical therapy and psychological therapy, can have a great beneficial impact on people suffering from chronic fatigue syndrome. Learn more about treatments and natural remedies for chronic fatigue syndrome.